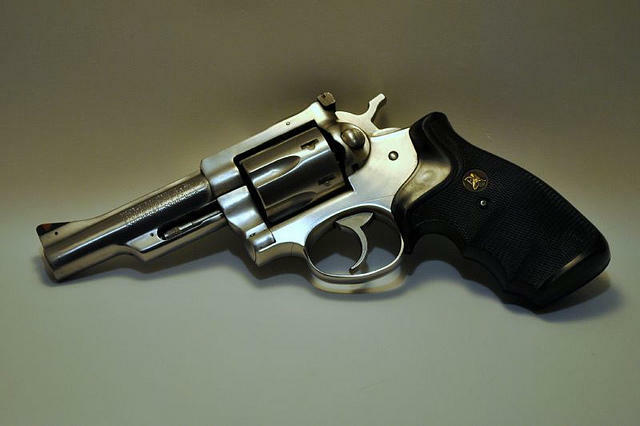 A major firearms case will be debated in front of the Michigan Supreme Court next week. But advocates on both sides say it’s about more than whether someone can carry a firearm on school grounds. Ann Arbor and Clio school districts in Michigan got sued for banning guns on school grounds. State law generally prevents local gun rules – and the court will decide whether that applies here- which could have a broader impact. 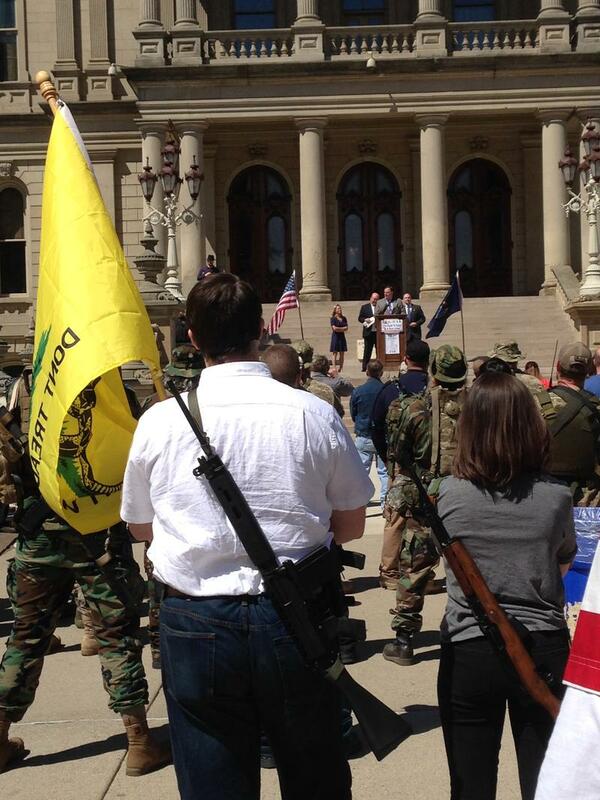 Wednesday was the annual Second Amendment March in Lansing. Gun enthusiasts took to the Capitol for speeches and mass open-carrying of firearms. Dean Greenblatt is an attorney in Bloomfield Township. 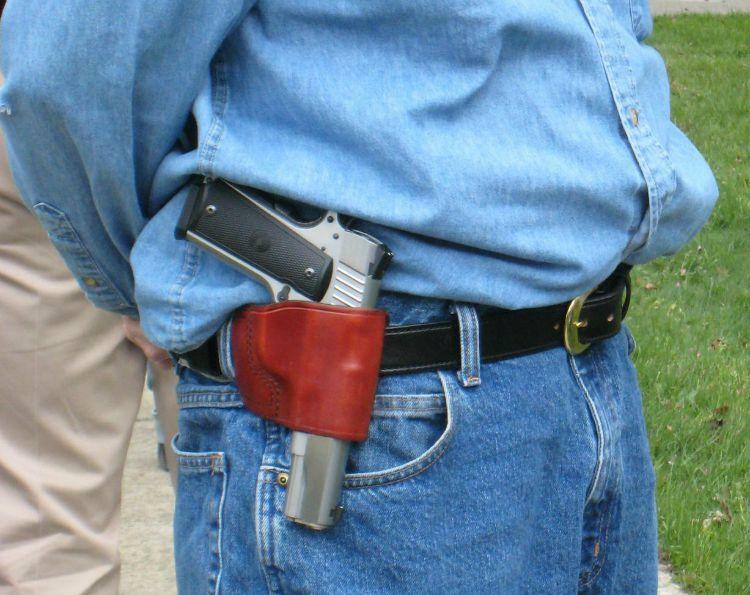 He represents Michigan Open Carry in several pending court cases. Two men who walked into a Michigan police station carrying guns and wearing body armor are facing felony charges. 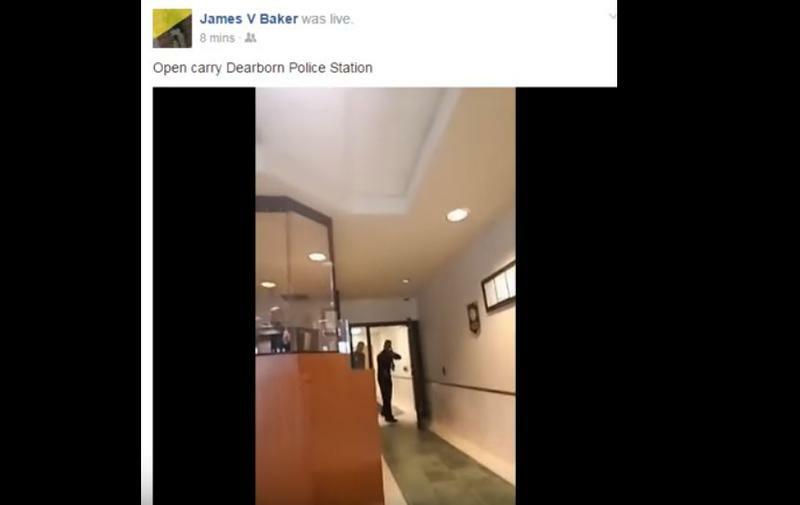 James Baker and Brandon Vreeland wanted to make a point about their right to openly carry firearms when they walked into the Dearborn Police Department earlier this month. They are now facing felony charges, including carrying a concealed weapon, resisting arrest, and disturbing the peace. They were arraigned today. A couple of stunts from open-carry activists, and a threat targeting Muslims have Dearborn's police chief concerned. 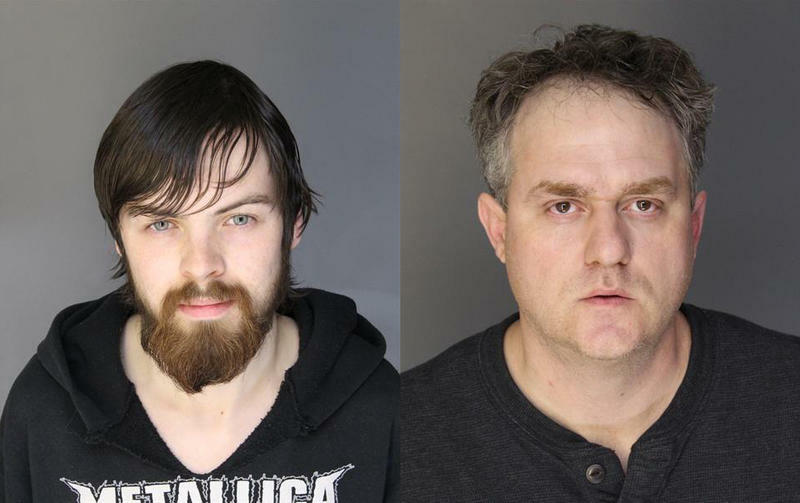 Over the weekend a group carrying guns marched down Schaefer Road in Dearborn, apparently in support of two armed men who were arrested earlier this month. 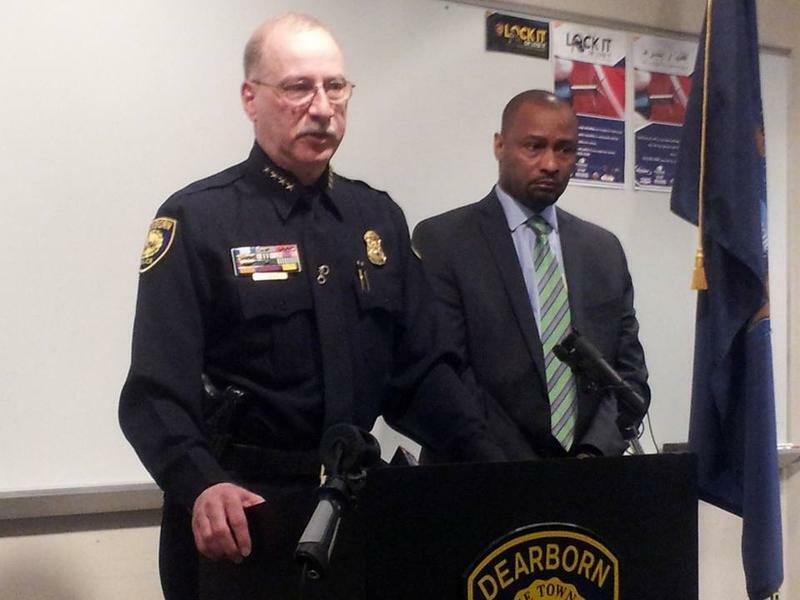 That pair walked into the Dearborn police station carrying guns and wearing body armor. We have certain rights in this country, and two white gun-rights advocates seem to take pleasure in testing the boundaries of how far these rights can go in our society. A state Senate committee has adopted on party-line votes legislation that would essentially eliminate “gun-free” zones in Michigan. The bill would also close a loophole that allows people with concealed pistol permits to open carry in schools. But schools could no longer ban licensed concealed weapons. Governor Rick Snyder today renewed his opposition to allowing people to openly carry firearms in schools. He made the remarks while pro-gun activists rallied down the street outside the state Capitol. 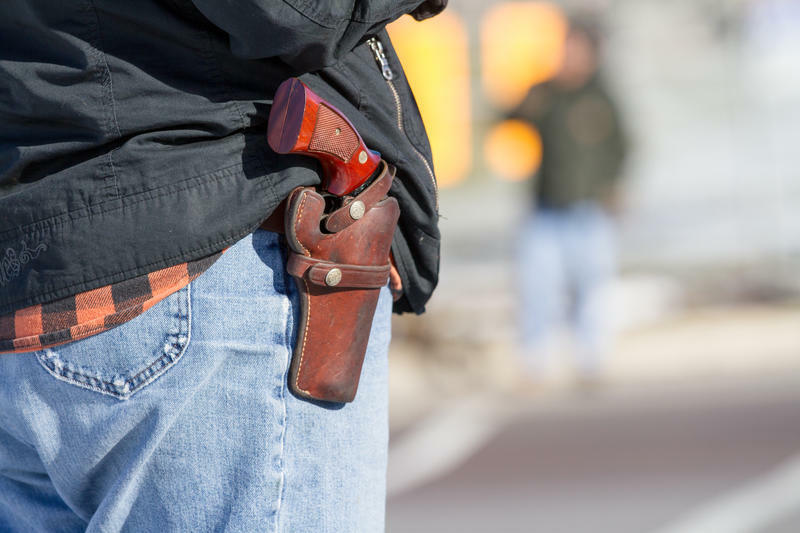 “What we’d like to see as a compromise is to allow concealed carry in schools. That will help alleviate the problem of any disruptions caused from carry,” said rally organizer Brady Schickinger, who directs the Michigan Coalition for Responsible Gun Owners. UPDATE: We've added the actual policies that the board is considering below. 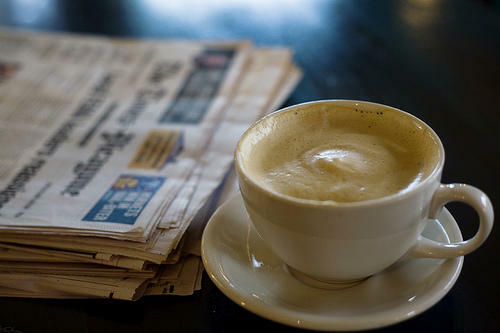 Ann Arbor's school board met last night to consider banning guns on campus. It's been weighing the question since a gun-rights advocate named Joshua Wade wore a gun to a high school concert. In Michigan, it’s legal to openly carry a gun in schools so long as you have a concealed pistol license. 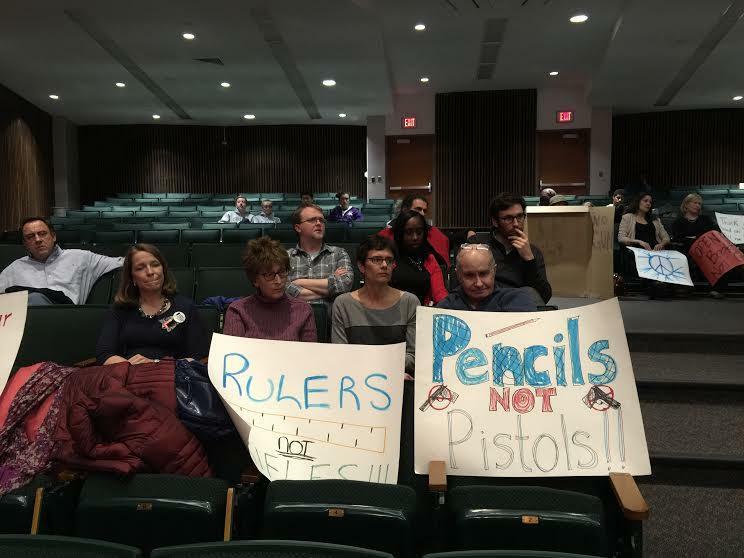 The Ann Arbor School Board is exploring options for a weapons-free school policy. This comes after a March 5 incident in which a man caused concern after openly carrying a pistol to a Pioneer High School choir performance. 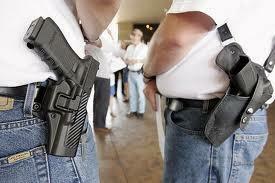 Michigan open-carry laws allow people with concealed carry permits to openly carry guns in schools. When it comes to schools, pot and guns in Michigan, who's the boss? This week, Jack Lessenberry and Rina Miller discuss an executive order that puts control of the state's worst performing schools in the governor's hands, whether legalizing recreational marijuana would be good for Michigan, and a skirmish in Ann Arbor over openly carrying weapons in schools. A group wielding handguns and rifles is probably not something you'd expect to see often in the upscale Detroit suburb of Birmingham, but following the recent gun-related arrest of an area teen, gun rights supporters decided to protest there by packing heat in public. Sean Combs, 18, was arrested in April while strolling down Old Woodward Ave. with an M-1 rifle. Combs faces misdemeanor charges of brandishing a weapon, resisting and obstructing police, and disturbing the peace, but his supporters say he was within his rights to openly carry the weapon. 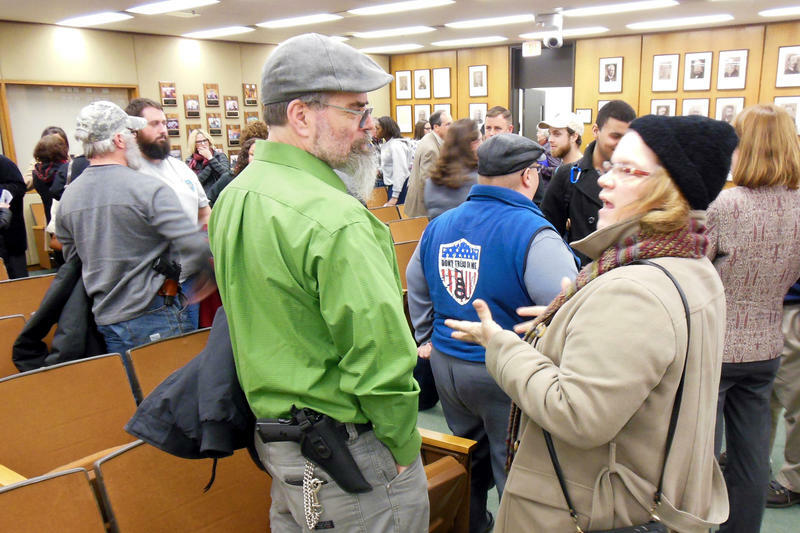 As the Detroit News reports, gun advocates gathered last night in Birmingham and packed a town commission meeting with their firearms on full display, even though the commission had no plans to discuss Combs' case. In April, Birmingham Police Chief Don Studt acknowledged the constitutionality of Combs' decision to carry his gun, but said "this guy was creating a disturbance and he wouldn't cooperate." Birmingham Mayor Mark Mickita said he appreciates public input, the News writes, but maintained that "the issue has gone to the courts." Gun rights advocates will gather at a Detroit restaurant Monday night for an “open carry” dinner. Organizer Rick Ector runs Rick’s Firearm Academy in Detroit and the blog Legally Armed in Detroit. Ector says the dinner is a “family-oriented” event meant to make “law-abiding” Detroiters aware of their right to openly carry guns in many public places. The Bluepointe restaurant on Detroit’s east side is hosting the dinner, which Ector says he initially thought would draw about 50 people.